Click the Reports tab. 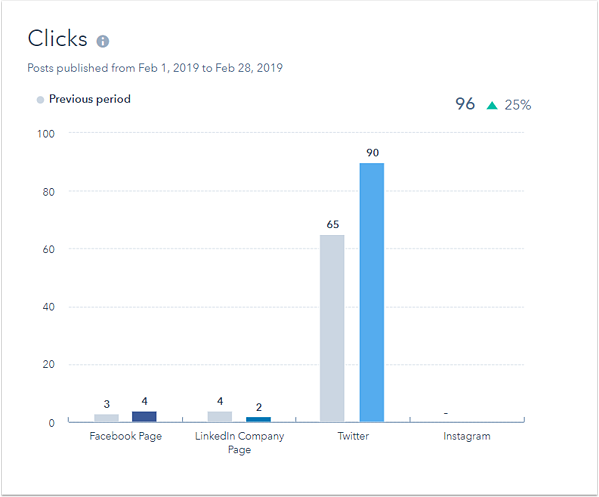 Here, you'll see reports with a performance overview of all your connected social media accounts, broken down by social network. Network: filter by social network. Time period: filter by this week, this month, the last 30 days, last month, the last 3 months, or a custom time period. Please note: report data is based on social post publish dates. 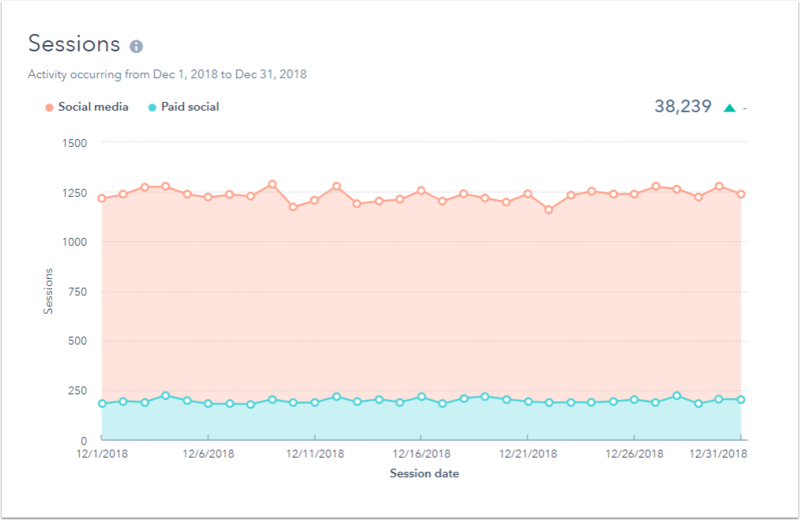 For example, if the selected time period is Last 30 days, social posts published more than 30 days ago will not factor into the reports, even if the posts are still receiving clicks and interactions. 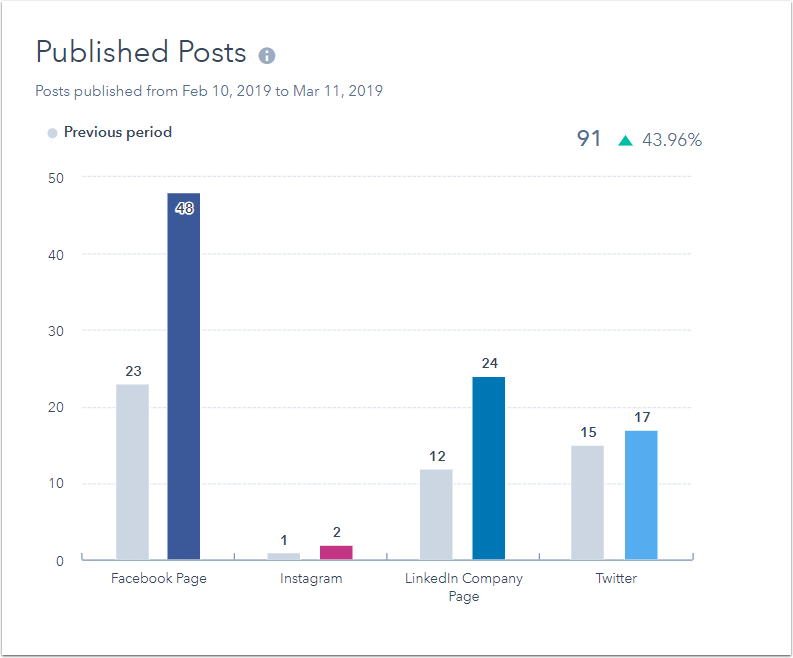 The reports will display data for social posts published within the last 30 days, compared with the social posts published in the previous 30 day period. 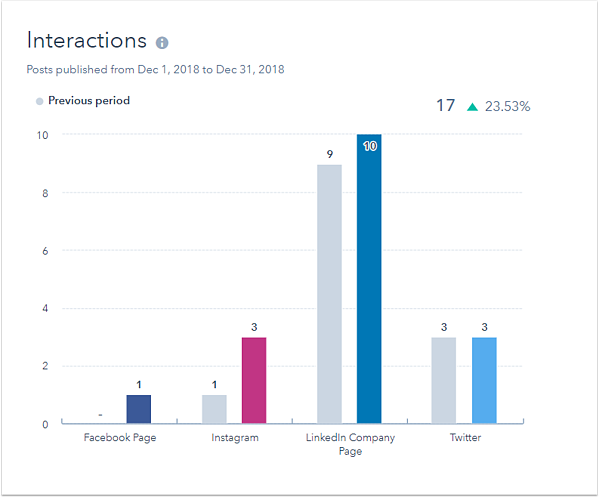 The Interactions report shows the number of likes, reactions (Facebook), and comments on your social posts published anywhere on your connected accounts. 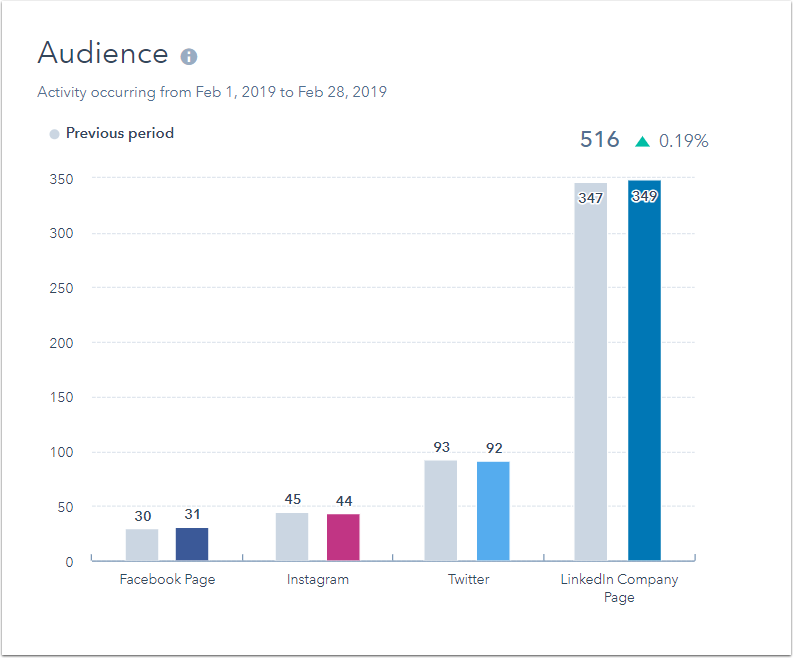 This also includes posts that were published to your connected social accounts outside of HubSpot. 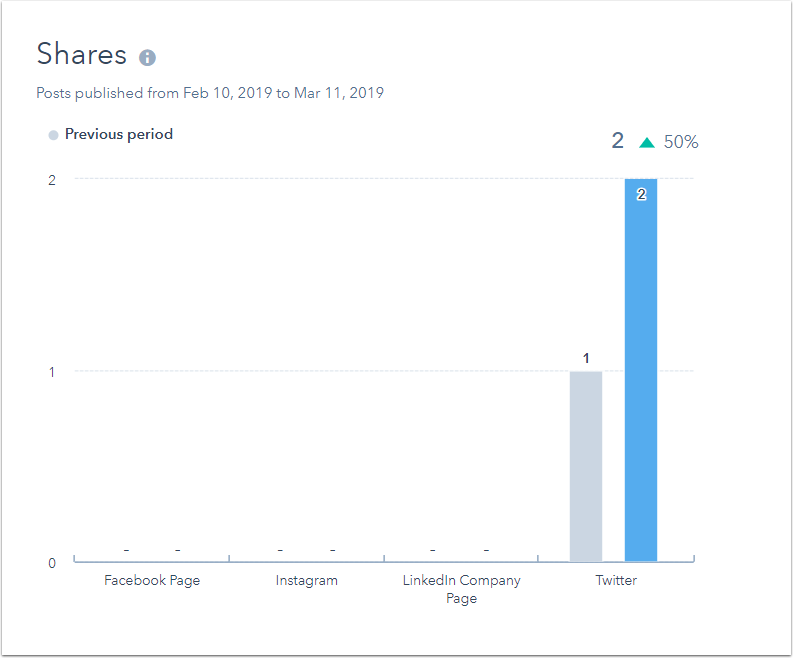 Twitter retweets are excluded in this report, but are included in the Shares report. 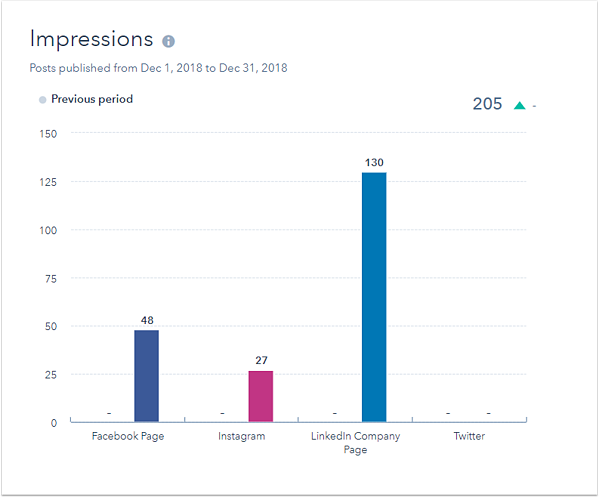 Please note: because Twitter's API does not provide data relating to impressions, Twitter data is not included in this report. 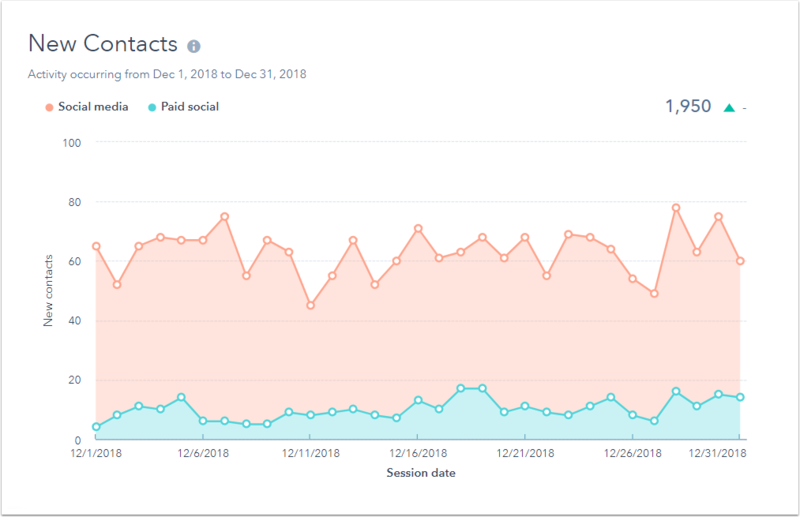 The Sessions report shows the number of web sessions on your site (HubSpot-hosted web pages, or web pages that have your HubSpot tracking code installed) that took place within the selected time period that were driven from social media. Social posts that drove these sessions could have been published at any time, and from any social source.